John Gray writes on how it feels and what it means to him to have the Dirty Reds back. 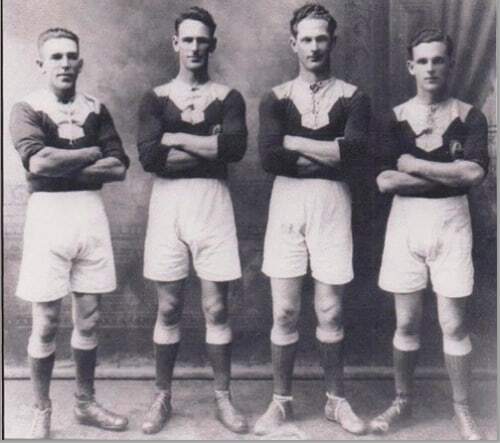 During a meeting at the Glebe Town Hall on 8 January 1908, the Glebe District Rugby League Football Club was formed – the first Rugby League Club in Australia. 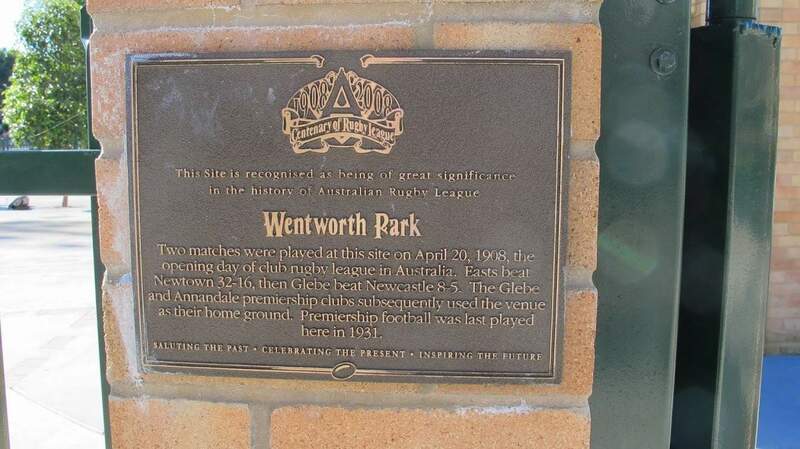 It played from 1908 to 1928 with Wentworth Park as its home ground. There are memorial plaques at both sites. The Club never won a first grade premiership but had a fine record. In 2017 they were re-formed and currently play in the Ron Massey Cup in a coalition with Burwood and Concord. My father and uncles played for Glebe, the Dirty Reds, so let me tell you how this feels. For me, it starts with that photo of my uncles and Dad in their Dirty Reds outfit challenging the camera (photo, this page). They represented a team of Glebe’s essence: working class, parochial; in it together. Max Solling showed me the photo and kindly allowed my cousins and me to talk about the Gray Brothers with him. Bert played for Australia as an incredibly fit, talented, quick but light (67kg) second row forward. He played with finesse. Paddy’s playing style is best described by his own comment when appearing before yet another disciplinary meeting, ‘We all know how this ends. Let’s toss, ‘double or nothing’ and get it over with.’ Frank and Tom knew that to be a Dirty Red was to be one of ‘our players’ with the hopes and duties that came with it. As Max explains in his book, An Act of Bastardy1, everyone took it very seriously. The Dirty Reds were part of the glue of Glebe. If you are very lucky, you may hear Max Solling talk about the Dirty Reds. During ‘that speech’ he becomes one of the players he talks about. You can watch him swerve, pass and tackle as he recalls their actions. Then you see Max’s passion and hear the strong argument showing how important – and how shabbily treated – was Glebe. It infected the group led by Darren Flynn2 so mightily that it went through years of effort to get the Dirty Reds back into the League. And they are back. I attended their inaugural lunch and saw a small tear as my cousin, Vince, received recognition that his Father, Bert, had been named as a Glebe Immortal. I was at Leichhardt Oval in 2017 for their first game when the Dirty Reds defeated Wests. Their previous match had been in 1928. I will be there when the Dirty Reds return to their home ground at Wentworth Park. I will be there with all of Glebe. I will be barracking for the Dirty Reds so loudly they’ll think Yabba3 is back. An Act of Bastardry: The Axing of the Glebe Club – History of Glebe Rugby League Football Club 1908 – 1929 by Max Solling, 2014, Walla Walla Press. Available from Gleebooks. Darren wrote a great article about the Dirty Reds, past and present, for our May Bulletin. It can also be accessed on our website here: https://www.glebesociety.org.au/?p=12567. Yabba was a famous barracker, for whom there is a statue at the Sydney Cricket Ground (photo, this page). His real name was Stephen Harold Gascoigne. His comments so upset a Glebe player that at half time he reportedly claimed that he would murder Yabba if it continued. Yabba left. T’was a Gray wot shut ‘im up!